When I started researching game development in the late 1990s, many colleagues wouldn’t take me seriously. Although nobody argued that games aren’t worth studying academically, there was a general feeling of dismissiveness and marginality. Sometimes you couldn’t even mention the words ‘computer games’, for example, in a grant application but talk vaguely about ‘virtual environments’ or ‘simulated worlds’ or ‘real-time interactive systems’. Over the years I’ve seen more and more colleagues getting interested in game research (or maybe the students they are supervising are picking more topics on that area). And, on top of that, researchers from totally different fields are approaching me wanting find out more what games could do for them. What has changed in two decades? Firstly, games and game playing has become more common and pervasive. It’s intruding new areas of life as game-like thinking finds new application areas. Secondly, games have become an important part of the entertainment industry – it has already passed the music industry and is steadily narrowing the gap to the film industry. Thirdly, we who started playing computer games in the 1980s are still playing them today, and we forty-somethings are pushing the demographic wave for game players. The average age of a game player today is 35 years – and in the future everyone will be playing games. No wonder that academic game research has skyrocketed. One reason is the inclusion of game-inspired design and gamification, which uses game thinking and game elements in non-game contexts (see more). It’s difficult to foresee where this will be taking us. Maybe it’ll help us to lead a healthier and more active life or maybe it takes us to an escapist dystopia, which is illustrated brilliantly in the short film Sight. I still find myself often wondering, why researchers are approaching games from their narrow corner. If you are interested in game research, why don’t you want to find out more about its practicalities – how games are created – because there’s a wealth of knowledge to be learned from the professionals in the game industry. Also, if you are interested in game research, why don’t you try to find other researchers with a similar mindset. During the game development, the producer and game designer play the pivotal roles. The game designer is the one with a vision of the game, which is to be carried from inception to the finish. The producer is the counter-part who has to work with the realities – schedule, budget – to allow the project to materialize. They often work as a tandem, the producer being the surface to the outside (e.g. customer or publisher) and designer to the inside (i.e. the rest of the development team). 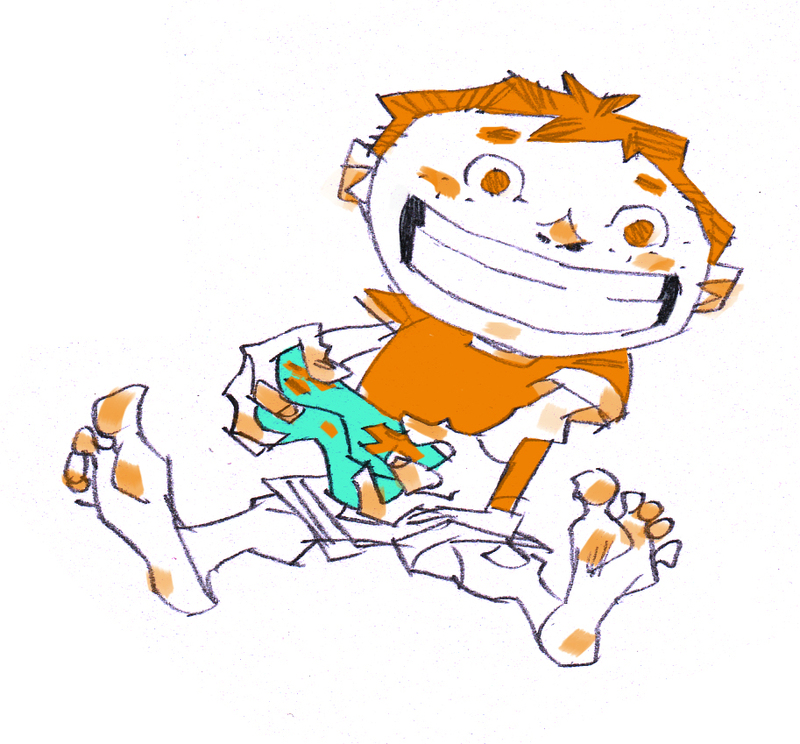 The artists (both visual and audio) design and create the assets that the game uses, and the programmers’ task is to implement the game mechanics and the user-interfaces. The game testers and QA provide feed-back the development team by taking care that the game is playable, bug-free and enjoyable. 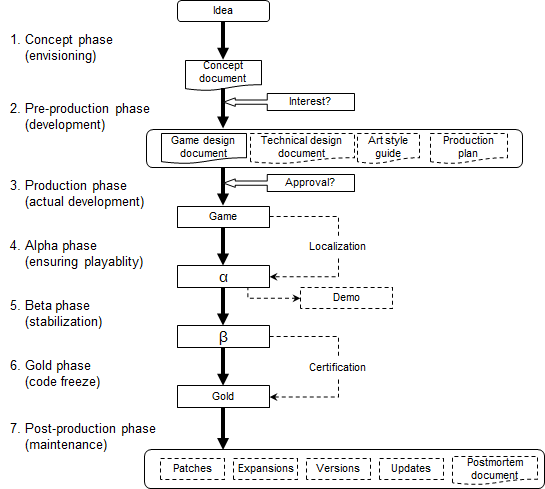 The figure below illustrates the phases of a typical game development project. In the concept phase, a game idea is concretized into a concept document, which is used (as a sales pitch) in order to raise funding for the production. If a publisher accepts the concept, the game idea will be refined in the pre-production phase, in which the game designer creates a game design document. This represents a “blue-print” of the game for the production. 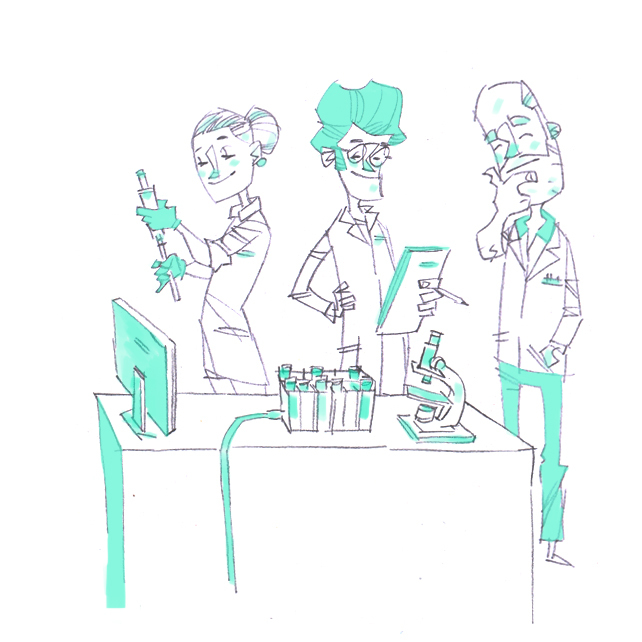 Additionally, other documents such as a technical design document, an art style guide or a production plan can be generated during the pre-production phase. After the pre-production phase, the project must get approval from the publisher before entering the production phase, where the actual game development takes place. Once the production phase is over, the game moves first to the alpha phase, which concentrates on ensuring playability, and then to the beta phase, which aims at stabilizing the game by eliminating bugs. Finally, in the gold phase the game code and other assets are finalized before publishing. The game might also require a certification of the game console maker for market acceptance. At the same time, the game can be localized to other languages so that all the versions can be published simultaneously. In order to market the forthcoming game, playable demos can be made public before the final product is ready. • Game as Content focuses on the artistic assets (e.g. graphics, animation and audio) needed in the game. • Game as a System focuses on the implementation of the game mechanics and interfaces utilizing game technology (e.g. game engines). • Game as a Product focuses on the productization of a game (e.g. the production process, marketing and business aspects). • Game as a Creation focuses on the analysis of games in different contexts and on the design of games. Before I continue, a word of warning: The borders of this classification are not clear-cut and reflect my personal views. One can argue, for example, that procedural generation (e.g. in graphics or audio) blurs the line between Game as a System and Game as Content, or that software development could also be located in Game as a Product. And the biggest challenge, of course, is placing game design in such a broad picture, because it is a discipline that encompasses many (if not all) areas of game development. But, for the sake of argument, let’s use this classification to clarify our thoughts. The four focus areas give us an interface to connect to the academic research, which is illustrated in the figure below. 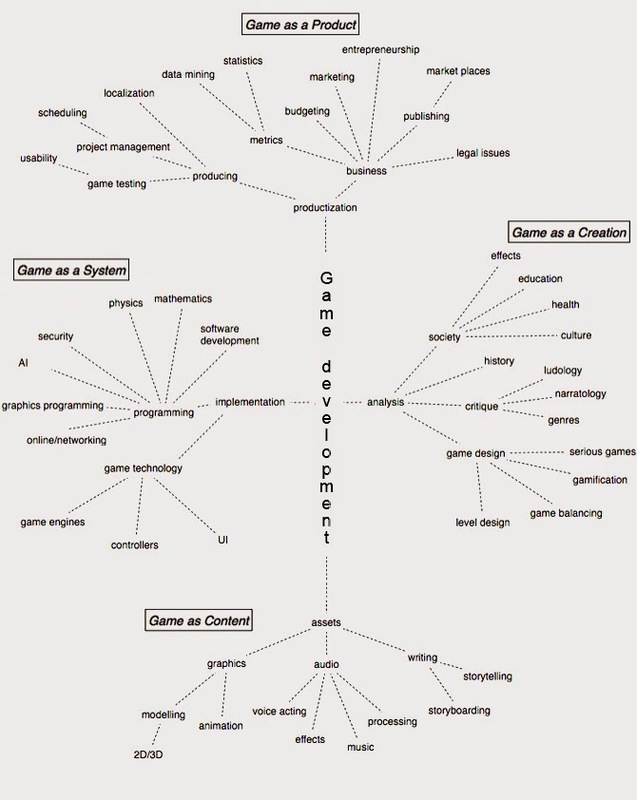 Game as Content sees the game as an artistic endeavour, which is a natural point for related studies. If we look at the Game as a System, our natural reference fields are those related natural sciences and engineering. Game as a Product connects mainly to economics, but, for instance, localization and metrics requires knowledge from translation studies and statistics, respectively. Game as a Creation has the broadest set of connections, because we can apply games in many fields from education to medicine and we can study games and their effects and implications from various fields. As we can see game development is a meeting point for different disciplines, and, in the long run, it’s not fruitful to conduct research without collaboration. The interconnectedness means that a research group should be heterogeneous; by working alone you are bound to omit knowledge that makes a game playable. I have seen, for example, many badly working educational games – created without knowledge of how game mechanics work – which have been rendered useless regardless their pedagogical ideas. Domain-specific knowledge can be conveyed into game development in two ways. Firstly, the experts can act as a client who places an order to the game development team and provide feedback during the development. This works well if the experts aren’t familiar with the development process or can’t take part actively in it. Secondly, the experts can become a part of the game design team, which allows them to participate throughout the development. This also requires that they can spend time and effort in working – and learning how to work – with the rest of the game development team. Nowadays nobody is questioning why I am researching games, but people see their value and influence. Regardless whether games are your primal focus or just intersecting your actual research interests, you shouldn’t limit your view on game research. As researchers, we should actively work together or, dare I say, play together. Human beings are apt to play from the early age and we never really lose that skill – I hope not even as jaded academics. University of Turku (UTU) has a lot to offer for interdisciplinary game research. I learned this during Autumn 2013 when I started to work with my first game-research oriented project plan for Finnish Funding Agency for Innovation aka Tekes. At the time, Tekes organized a call for strategic research projects on "Reward Homeostasis", that is Mielihyvätasapaino on Finnish. The call emphasized e.g. perspectives of perceived wellbeing, development of new methods for measuring reward mechanisms as well as novel views on business development. My task as an employee of Centre for Collaborative Research (CCR) at School of Economics was to explore whether CCR could plan and submit an interdisciplinary research proposal for the call. As CCR aims to collaborate with both private and public sectors and gather adequate research expertise for the needs of companies and public partners, I needed to figure out what kind of UTU based approach could be suitable in this context. I decided to find out how UTU researchers would react to an idea to plan a game oriented research. Game approach was interesting for me personally and also for CCR because game research combines perspectives of several research traditions. Game studies can e.g. lean towards cultural, art, media and history studies, economics or information technology and information systems science. On the other hand, it was known that the number of game companies in Turku was growing fast. Moreover, emotions and feelings such as joy, fear, frustration and amusement are crucial to any memorable gaming experience. For these reasons, it seemed that a game based approach could have been designed for Reward Homeostasis call for strategic research. As I booked meetings with UTU experts representing information systems science, economics, neurology and psychiatry, I quickly understood that there was a larger interest towards interdisciplinary game research than I dared to hope. Practically every expert indicated that he/she was interested in discussing about future game research cooperation. I decided to continue with these meetings and plan the reward homeostasis project alongside with networking. Next I met people from cognitive psychology, evolutionary biology, information technology, creative writing, nursing science, law, education, digital culture, history and media, art and cultural studies. This roadshow confirmed that University of Turku was already very active in game research, although most of the researchers working on the field did not know about each other. I also realized that game research was even more multidisciplinary than I had thought. Although game studies tend to combine several academic doctrines, it is rare also for game research to combine e.g. medical sciences, cultural sciences, economics and biology within a single project. In the end, our proposal for reward homeostasis call was redirected to Skene – Games refueled programme by Tekes. But the networking process continued nevertheless. CCR decided to apply for regional development funding from City of Turku for establishing an interdisciplinary game research network Up Your Game (UYG). City of Turku granted funding for this purpose and so the network was founded in February 2014. The objective of the network is to design and launch new interdisciplinary game research projects based on the expertise of UTU. The network has three overlapping themes called CORE, HEALTH and LEARN. In April 2014, I participated in Critical Evaluations of Game Studies seminar at Tampere, organized by Tampere Game Research Lab. Amongst other highly interesting themes, the seminar participants discussed about the multidisciplinarity / interdisciplinarity / transdisciplinarity of contemporary game studies. Sebastian Deterding from Rochester Institute of Technology gave a presentation about designerly future of game studies as an interdiscipline. He referred in his presentation to Prasad Boradkar's book Designing Things: A Critical Introduction to the Culture of Objects (2010) and showed Boradkar's model of interdisciplinary in design (2010, 283). Deterding underlined that the differences between design and game studies are profound regardless of the several similarities between these two fields of academic research. Be it as it may, research design is an important part of any interdisciplinary game-based research project. CORE approach of UYG network includes media studies, cultural studies and digital culture, cultural history and art studies as well as economics, law, information technology and information systems science. HEALTH approach includes e.g. medical sciences, nursing science, neurology and experimental psychology. And LEARN includes education, social studies, pedagogy and, to some extent, psychology. The purpose of UYG network is to design new game-based research by combining elements, and by bringing together the experts of CORE, HEALTH and LEARN. By doing so, UYG aims to identify the needs of both game industry and other industries interested in utilizing game-based approach in remodeling their services in e.g. health care or education. 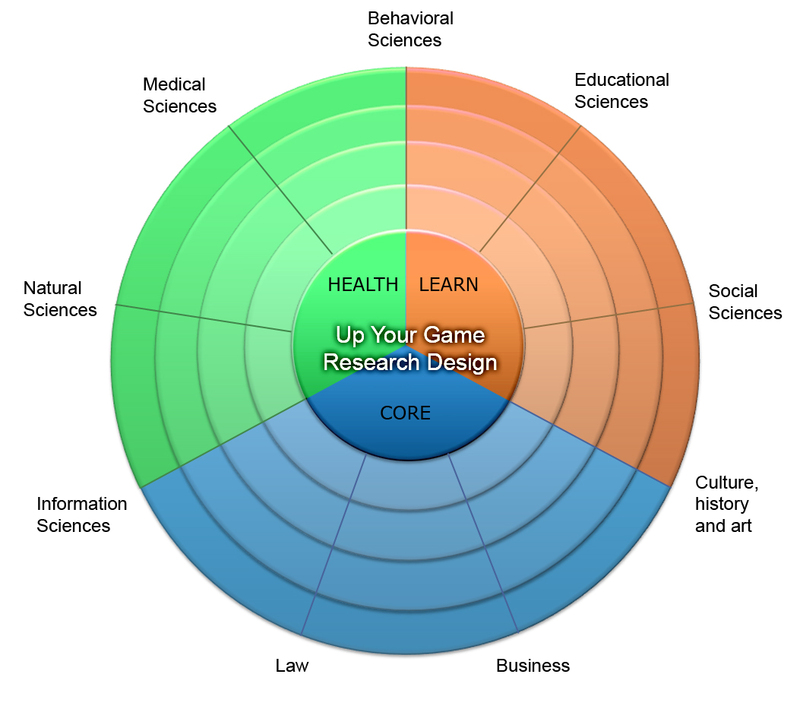 UYG does not emphasize any field of research in designing future game research projects. The principle of the network is to remain very organic. UYG's view on development of game studies is pragmatic: the network will design interdisciplinary research projects which will hopefully put in motion also new academic discussion about the interconnections between game studies and other fields of academic research. If successful, the network may, in the words by Sebastian Deterding, enable and bridge epistemological pluralism within the framework of interdisciplinary game research. Ps. UYG network is open for new researcher, companies and others interested in possibilities of interdisciplinary game research and development. Please be in contact to join the network. Pps. UYG Writing webiste is a forum for sharing thoughts and research findings and publishing blog-type texts about e.g. gaming culture and related events. Please feel free to suggest your text for publishing!